We might be two weeks from 2012 but the Legend of Zelda 25th anniversary festivities aren't over just yet. 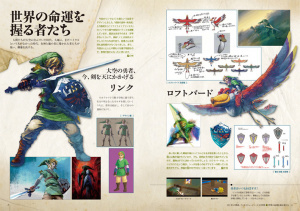 Nintendo Japan is to release a Legend of Zelda art book on 22nd December for ¥3255 (£27/$41/€32). At 274 pages long it's a seriously weighty tome, with character and location concept art taken from Zelda's quarter-century. According to Zelda Universe the book also deals with "The Origin Story" from The Legend of Zelda: Skyward Sword and "A Complete History of Hyrule". It's unlikely this will include the fabled Zelda timeline, though we'll see next week. Here's hoping this book gets an English translation. Oh, I want one, but I guess I can't read it.. I've got a horrible feeling any English edition will turn up as a horribly expensive Club Nintendo item. OMG OMG, O-M-G!!! is it coming to the US?! Instant buy! Man, Link really is partying long and hard. Sorry i thought you were more of a party pooper before. You deserve it though because out of all Ninty heroes you saved the most people so far. Samus deserves some great party programme too though. While i haven't been that nerdy so far an English or German version of this book could finally convince to take one more step towards the dark actually bright in Ninty's case gaming abyss. I want one. And whatever happened to Metroid 25th Anniversary! Maybe their holding back for the wii u. Would definitely like to pick this up if it gets released in English. i'm hoping nintendo will do something for metroid next year. they better do. as for this book, i hope it is released in the west in english. amazing artwork there! If they release this in other languages, the do want factor is going to be rather high. Totally agree Rensch. Here's hoping for an English translation! You don't need to be able to read Japanese to enjoy this book. It's an art book. It's mainly meant to be seen, not read. 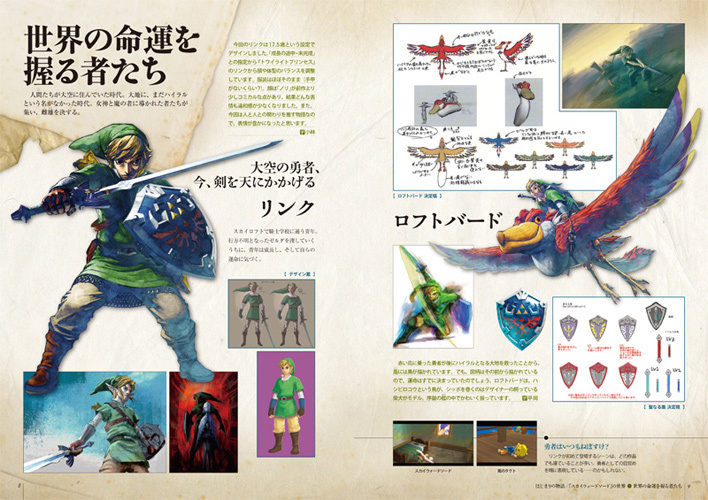 Is that a Twilight Princess version of Young Link? @DarkSquid (16. ): There's still text in it . And call me crazy or insane but i want to be able to understand it. I went on a trip to Japan over Christmas and managed to find a copy of this book. I bought it and it is really awesome. Though there's definitely a lot of text I wish I could read. I hope they do end up translating this. Even so it's got really nice artwork in it and I guess I'll just have to learn Japanese or something in the meantime.